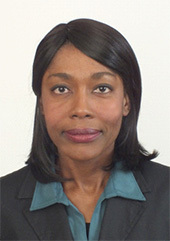 Priska Fleischlin graduated with a Masters of Science in Social Work in Lucerne, Switzerland. Her Bachelor and Master Thesis were focused on the ‘Social Worker’s Empowerment in developing aid’ and ‘Cohesion in transnational transdisciplinary Project-Teams.’ Concerning the latter topic, she also analyzed the conversation of virtual meetings. As a representative of the IFSW to the United Nations she focuses mainly on Ageing because of her working experience with elderly people for more than ten years. Those over the ages of 60 are the world’s fastest growing age-group, mostly in developing countries. Worldwide, Social Workers view the elderly as a heterogeneous group: They range from those with great agility and independence to the very vulnerable with high-maintenance needs. As a professional Social Worker, it is of great importance to Priska Fleischlin to represent the Human Rights of these individuals in order to protect their dignity and well-being. As a representative of IFSW at the UN in Geneva, I focus on social work and health. A deeper cooperation between IFSW, WHO and other NGOs active in the same field is essential to me. I believe that health is a human right and social workers can make an important contribution to the implementation of this right, especially for people living in poverty. As a retired social worker, I can look back on 30 years of professional experience in an acute hospital. For several years I served as President of the Swiss Association for Social Work in Health Care. 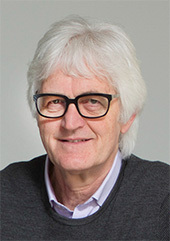 Klaus Kühne is IFSW Main Representative at the UN in Geneva. He deals with Economic, Cultural and Social Rights with a particular focus on Social Protection Floors. Nadège Nazaire-Müllener is an independent Social worker specialized in Child Protection and had conducted a research in Haïti upon the effects of Domestic Violence on Children. After her arrival in Switzerland, she opted for a Master’s Degree in the same field which allowed her to discover even more topics of interests. Her work for this degree questioned the professional identity of the nurses’ aides dedicated to the elderly care in nursing homes or homecare using the sociology of work perspective. As a Migrant woman, she is touched and concerned by all the problematics affecting women in migration which will be her main focus work at the UN. Having observed the effects of this phenomena on many women in her surroundings, she is actually creating an association by migrant women for migrant women and has started to build a website community where they can all come together to share advices, experiences and discuss about their life abroad and what the politics could do to help them contribute their best to both their adopted and home country. 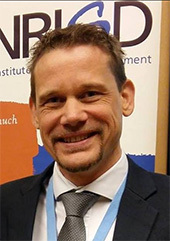 My name is Pascal Rudin, I’m a social worker and sociologist and am dealing with social, cultural and economic components of contemporary constructions of childhood. As a representative to the United Nations in Geneva, the advancement of human rights of the child designates the core of my commitment. Health, education and foster care of children form my priorities, both in research as well as in advisory functions. I am committed to social work practice which holds up the human rights of the child.